The EQualizer Post: Cory Aquino: "I offer my country's story." 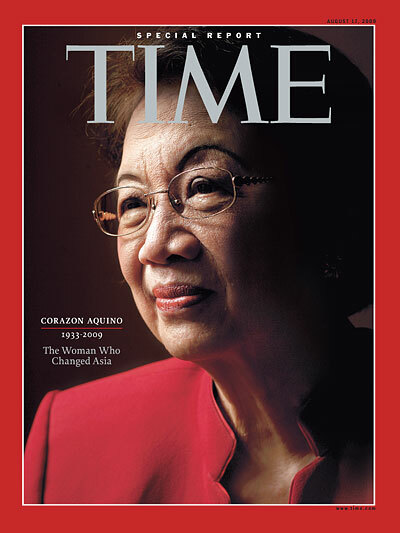 Cory Aquino: "I offer my country's story." The most powerful symbols are simple ones. As news of the popular Philippine movement to unseat the dictator Marcos swept through the global village in early 1986, one image outshone the others: a brave woman in a yellow dress. Cory Aquino. Up till now her image lingers brightly as a symbol of nonviolent democratic aspiration the world over. But symbols are simple only on the surface. 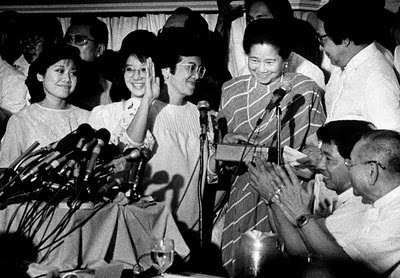 Cory Aquino herself was not the architect of the movement she led, nor did she lead it by choice--this had been her husband's ambition. By experience, she was not a leader at all. Nor was the movement altogether coherent or unified. It was fragmented by personal rivalries and contradictory visions for the post-Marcos future. But when Aquino agreed reluctantly to stand for president, she brought to the struggle not only her celebrity as widow of the tyrant's most famous victim but also her integrity and her Christian faith and hope. This gave the movement a powerful moral center that galvanized the dictator's opponents and shamed his supporters. Along the boulevard of EDSA, People Power won the day. And Cory Aquino became president. She then did as she had promised. Step by step, she dismantled the machinery of dictatorship and constructed the machinery of democracy: a free press and a new constitution, then elections. With each step, she limited her own powers and broadened those of others. She expanded popular participation in government and brought nongovernmental organizations into the national political dialogue. She sought earnestly to reduce poverty and improve public health, education, housing, and the environment. And she did her best to reconcile her government with its armed opponents in the countryside. In the process, she also stood down seven attempts to overthrow her embattled democracy by renegade power-grabbers from within her own military. 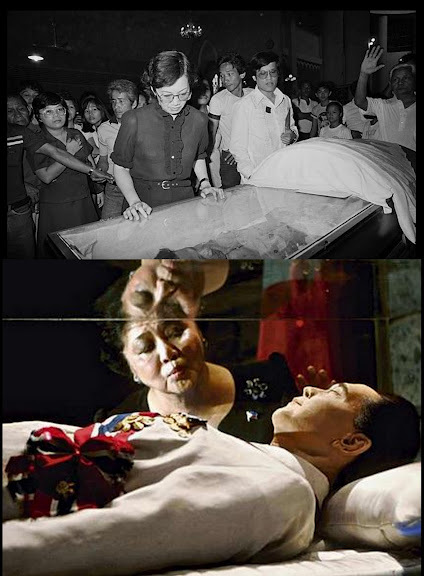 Cory Aquino could not possibly fulfill all the expectations she had awakened. No one knew this better than she. But as reality took its toll on the hopes of EDSA, she carried on buoyantly nevertheless. And consider, in the end, what she did manage to accomplish. She united the democratic opposition to dictatorship in the Philippines and led it to victory. She restored her country's democratic institutions and its good name in the community of nations. She governed with integrity and the devout intention to do always what was best for the country and its people. And, when her term was over, she stepped down in favor of an elected successor. No Asian leader of our time can claim as much. Today, as a private citizen, Aquino is less concerned with People Power than she is with empowering people--by promoting better-managed, business-wise cooperative societies, for example. Ordinary people should possess the "organized means of effecting major changes in their lives," she says. This will enlarge civil society in the Philippines and, with it, democracy as well. 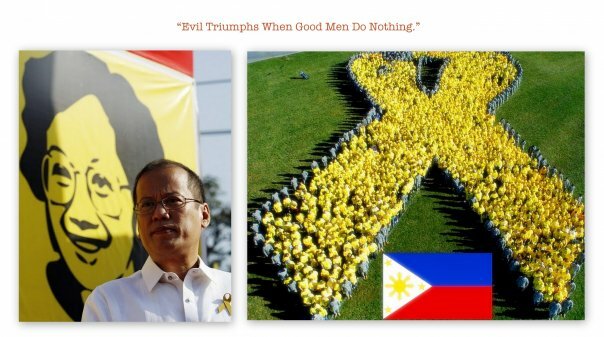 And what of Aquino's legacy elsewhere? The years after 1986 witnessed one democratic outburst after another--in Korea, Burma, China, Czechoslovakia, South Africa, Poland, Chile, Thailand, and, lately, Indonesia. 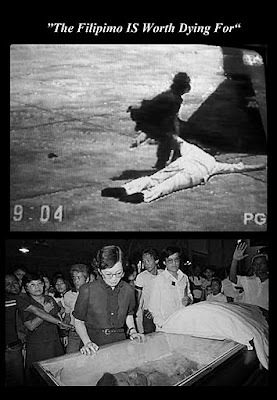 Cory Aquino did not have a direct hand in any of these events. But in these many places and others, we know that those who yearned and worked peacefully for freedom consciously emulated her and the movement she led. Her example inspired their hopes. "Each national experience of winning freedom is unique," says Aquino. Even so, the friends of democracy everywhere should stand together. To them, she says happily, "I offer my country's story." In electing Corazon Cojuangco Aquino to receive the 1998 Ramon Magsaysay Award for International Understanding, the board of trustees recognizes her giving radiant moral force to the nonviolent movement for democracy in the Philippines and in the world. Honesty is still the best policy!